Check the sender’s address. Don’t just trust the sender name. If an email appears to come from your CEO, Jim Allen, make sure the email address matches his known email address. Check the spelling. Poor grammar and spelling in the message can be an indicator of a phishing scam. You should also check the spelling of the email address. Sometimes, attackers will swap letters such as using “rn” (r and n) for “m”. Hover, but don’t click the link. Take time to hover your mouse over a link in an email, the URL will display in the bottom left corner of your browser. If the URL looks suspicious, don’t click. Don’t open the attachments. If you are not expecting an attachment, don’t open it. Keep your login credentials out of it. No bank and very, very few companies will ever ask for your login credentials through an email. Do not send your login credentials over email. Call or go directly to their official website by typing in the URL if the email reports a problem with your account. Just don’t click the link in the email! 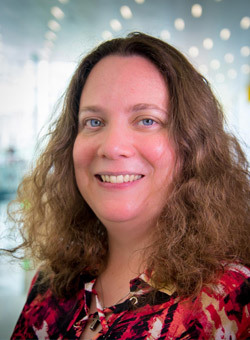 Learn more about phishing attacks and how harmful they can be when successful in the Cybersecurity Incident Response video featuring Deb Crawford, Internet of Things (IoT) Research Lead at the Laboratory for Analytic Sciences at North Carolina State University. If you would like to learn more from Deb Crawford on Cybersecurity essentials, consider registering for the Online Cybersecurity Toolkit available through NC State Industry Expansion Solutions (IES). Source: Crawford, Deb. Cybersecurity Incident Response Part 2. North Carolina State IES.